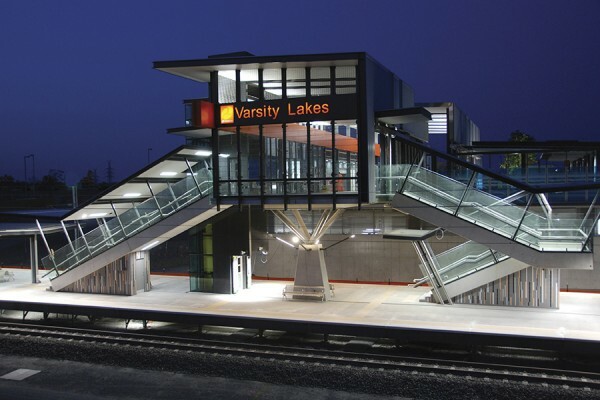 Architecture & Access, in partnership with Queensland Rail Accessibility Team, embarked on a contract to audit the Sunshine Coast line which included 31 stations in July 2016 to assess current progress towards meeting their target obligations under Disability Standards for Accessible Public Transport (DSAPT). The Transport Infrastructure Audits were completed using an Access Audit Checklist developed collaboratively by the Queensland Rail Accessibility Team and Access Audits Australia and have focused on detailing passenger building element compliance. The information gathered by these audits will establish benchmarks and priorities for Queensland Rail to focus available funding on areas of the Citytrain network that require upgrading to meet DSAPT targets and thus improve accessibility for all users. The Sunshine Coast line audits and reports were delivered in a three-month time frame and were well received by the Queensland Rail Accessibility Reference Group. This first successfully delivered contract established an ongoing relationship where Architecture & Access developed an in-depth understanding of Queensland Rail’s approach to accessibility and provided experienced access consultants to shoulder the immense workload of auditing the vast Queensland Rail Citytrain network. The second contract has involved auditing the Gold Coast line which, as well as assessing progress towards DSAPT target dates, also highlighted the importance of ensuring this rail line provides a high level of access. The stations on this line will link with the newly extended Gold Coast Light Rail and provide important transport infrastructure from Brisbane for passengers attending the upcoming Commonwealth Games to be held on the Gold Coast in April 2018. By the December 2017 DSAPT target date, the Architecture & Access team will have completed audits of 121out of 152 stations over all of the Citytrain network lines for the Queensland Rail Accessibility Team, providing the resourcing and expertise to support the provision of accessible rail services for people with disabilities in South East Queensland. Architecture & Access is proud to be in partnership with the Queensland Rail Accessibility Team, realising our vision of creating environments and transforming lives. View access consulting project gallery. Please contact us to discuss your project on 1300 715 866. ‹ Role and responsibilities of the building practitioner in Complex Home Modification Assessment for NDIS participants.